Classroom Snapshot! 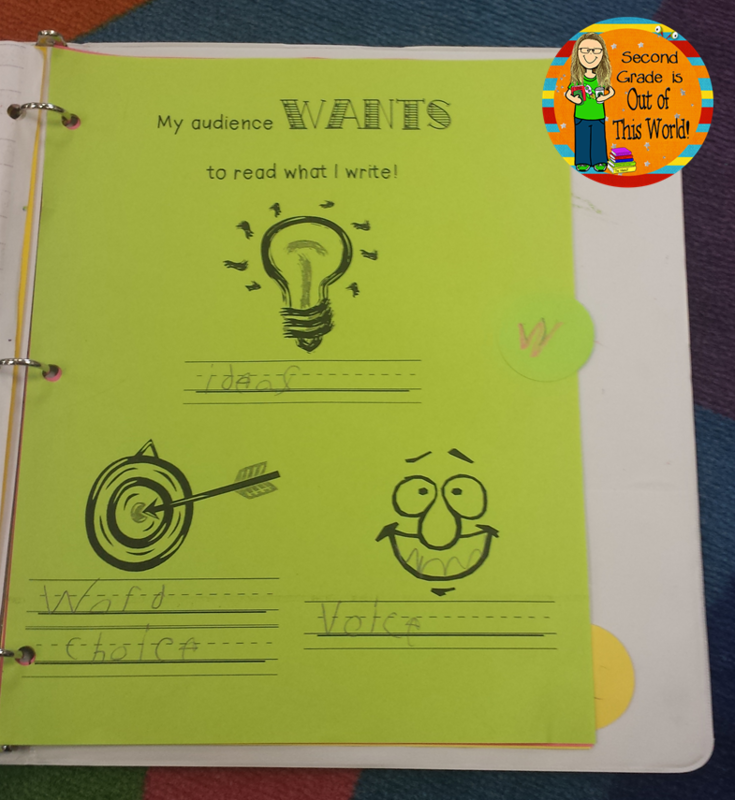 Writing Part 2: Our Writing Notebooks and a little freebie! | Primary Planet! Classroom Snapshot! 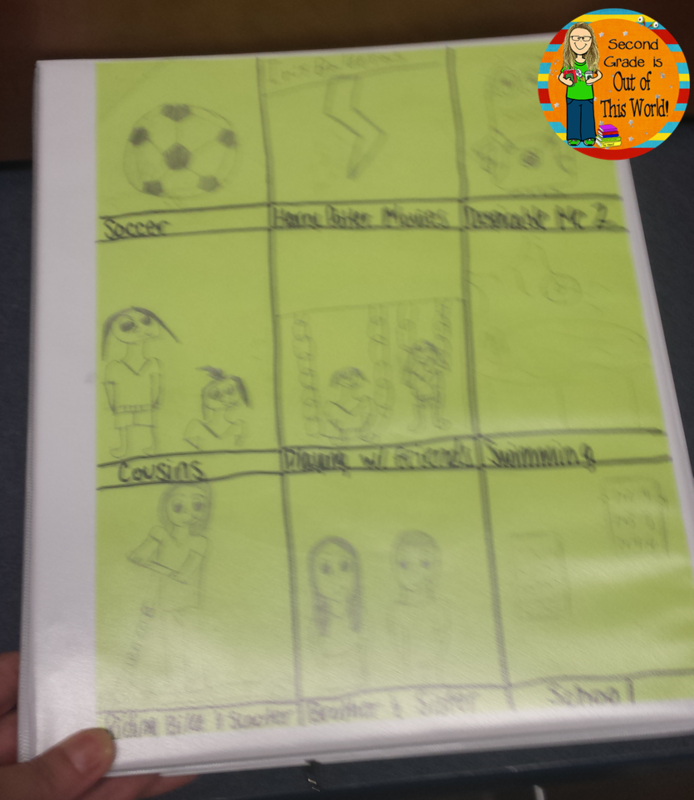 Writing Part 2: Our Writing Notebooks and a little freebie! Thank you to Creative Clips and The Enlightened Elephant for the clipart and Kimberly Gerswin for the font for my button. In my 13 years of teaching I think that I have tried every different kind of writing notebook out there. I still haven't found one that I LOVE. This year, I am trying writing binders. So far, so good. 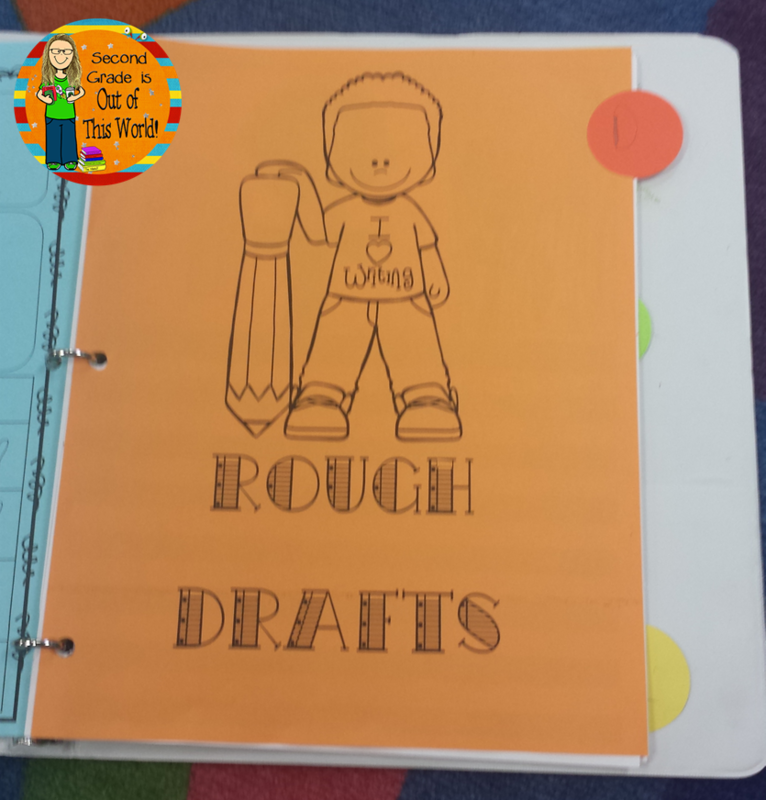 I wanted the kiddos to be able to decorate them with writing ideas, so I got the view binders. 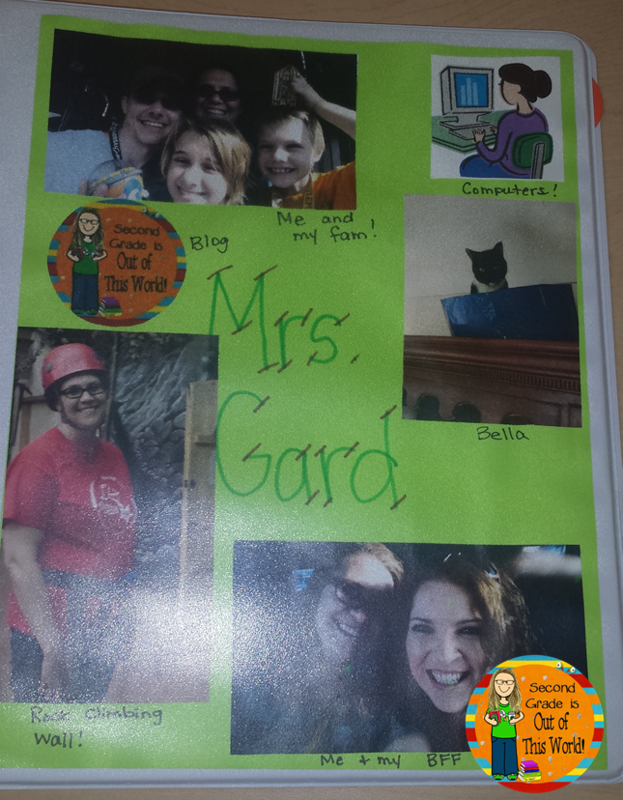 The first thing that I did was to send home some writing homework so that the kiddos could design their Writing Notebook covers. 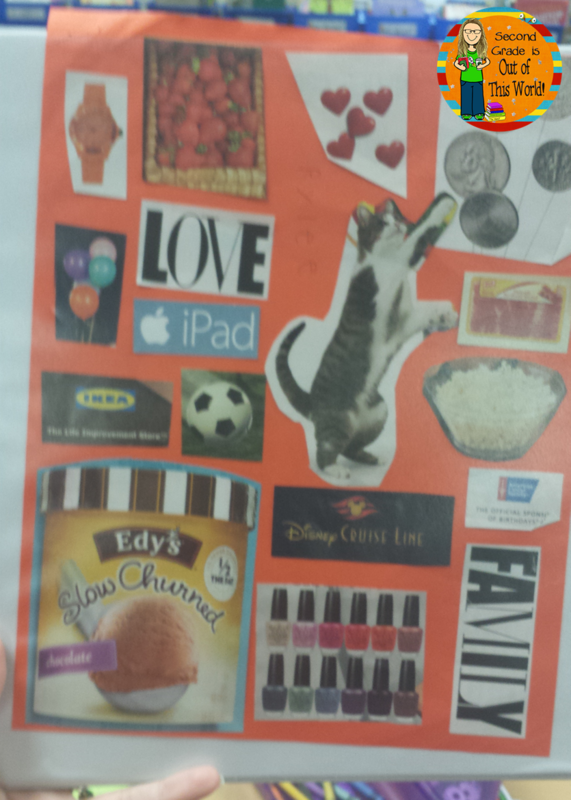 I sent home 2 pieces of colored paper and a note explaining what I was looking for. Of course I made my own as an example, that is what you see here. It really was a lot of fun. I made sure that I chose a variety of things to put on my covers. So, now on to the important part! What is on the inside? This section is where we keep all of our writing. Once we get past the rough draft stage we will be storing the story in the front pocket (we are not quite there yet!). One thing that I have really tried to work hard at this year is keeping our notebooks cleaner and more organized. On Fridays instead of sharing time we do a "Rough Draft Cleanout". We talk about which stories to keep and which stories to take home. So far, this is a routine that is working well. The second section is the "My audience WANTS to read my writing" section. 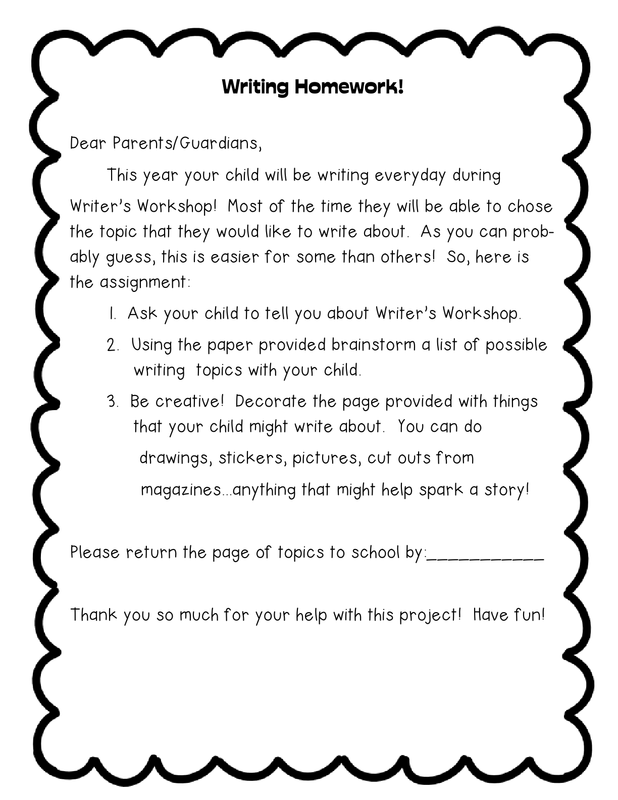 We figure that you have to have a good idea for someone want to read what you are writing. Word choice and Voice make it more interesting. Sentence Fluency also works here, but we decided to put it in the next section. The first 5 people to post a comment on what they would put on their writing notebook cover with their e-mail address will get the my Writing Notebook inserts for free! (They are a bit different from the ones posted due to copyright rules). 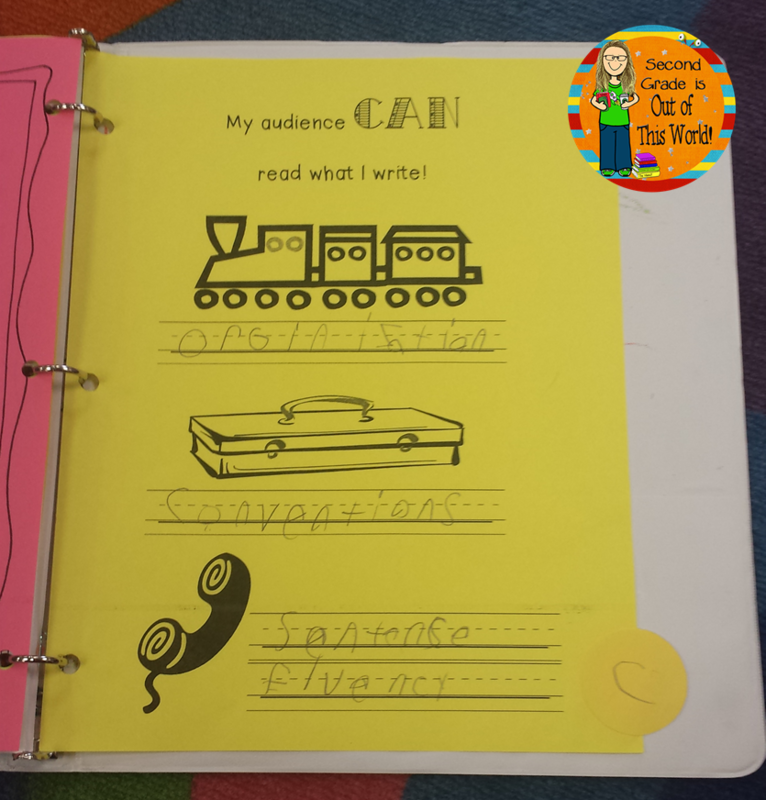 The 3rd section is "My audience CAN to read my writing". 1. If all of the sentences were the same it would be difficult to read. 2. We wanted 3 traits for each goal. This section is also going to hold any grammar lessons/anchor charts that the kiddos might need. 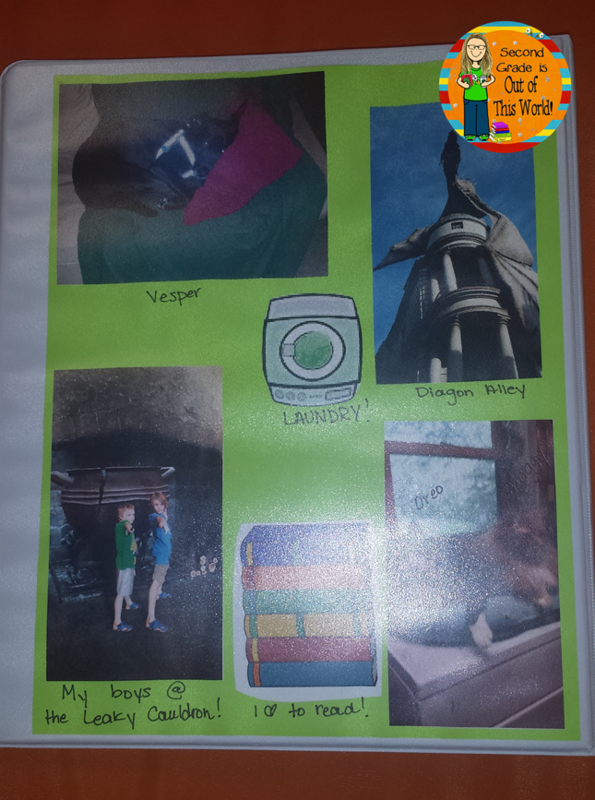 If you are looking for a kid friendly, easy way to make the tabs for each section check out my blog post about it HERE. So, that is our writing notebooks this year! Thank you so much for stopping by and check back soon for the next installment: Writing Mini-lessons. How do you set up your writing notebooks? This year our school district is having us use the POW-TIDE writing strategy. 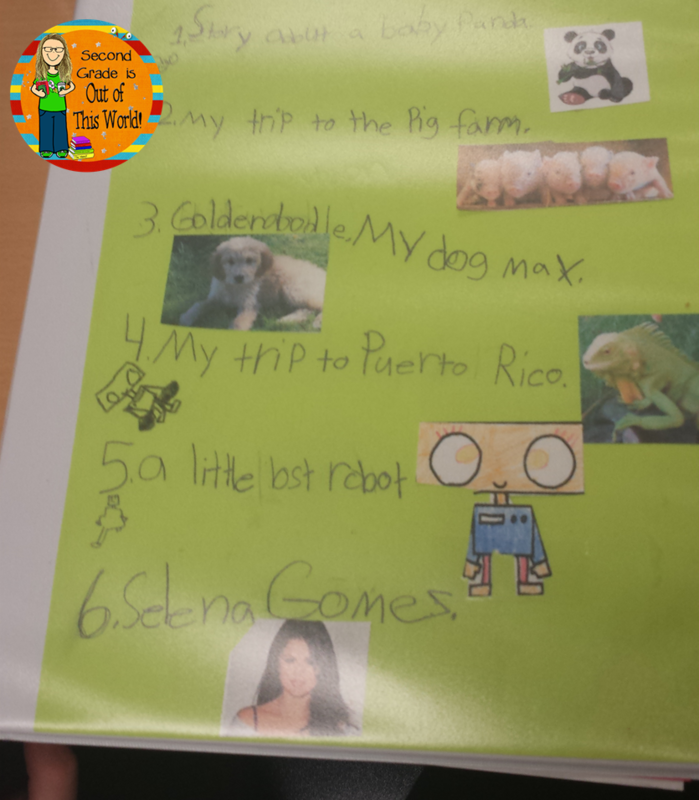 It teaches students to include a topic sentence, three key details and an ending when they write. I'm excited to see how well my students progress with this by the end of the school year. The cover of my students' notebooks have a poster reminding them of the POW-TIDE pnemonics. I think your ideas are fantastic, and I look forward to incorporating them. mmcmackins@dyercs.net.